Samsung has announced the acquisition of Santa Clara, California based Nvelo. The latter has been operating for two years and is a leading vendor of caching software, with solid-state drive manufacturers OCZ Technology, Corsair and Crucial all bundling its Dataplex software with their products. Dataplex is designed to increase the performance of the system it’s installed on by using 'intelligent caching algorithms' that monitor the way you use your applications and data. In a nutshell, it caches frequently-used 'hot' data on a traditional hard drive to the SSD, allowing fast read and write performance combined with the high storage capacity of HDDs, all without user interaction or training. In our tests, aside from some installation issues that were later ironed out, we’ve found it an excellent job of enhancing system performance without you knowing it’s even there. Financial terms of the deal and other specifics were kept under wraps, although the South Korean firm did confirm that all technology and staff at Nvelo will be transferred to Samsung. 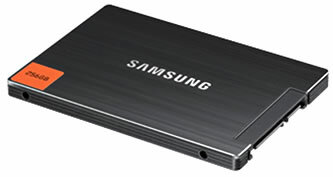 It’s unclear if Dataplex will continue to be available to other SSD vendors or become exclusive to Samsung products.